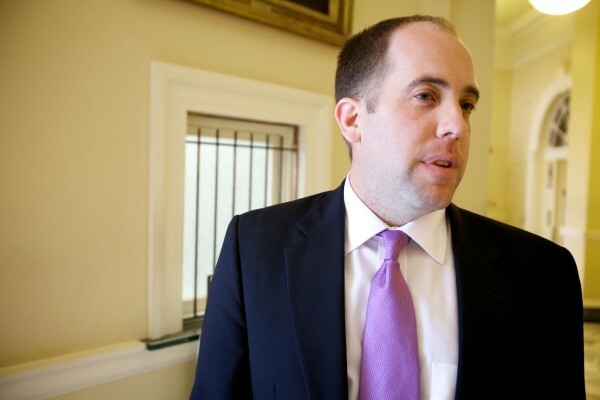 Seth Goodall was unemployed for less than 24 hours after he resigned his Senate seat near midnight on July 9, the day the Maine Legislature wrapped up its most recent session. The next afternoon he was sworn in as New England administrator for the U.S. Small Business Administration, a post once held by U.S. Sen. Susan Collins that oversees SBA programs and state offices in Maine, Massachusetts, New Hampshire, Connecticut, Rhode Island and Vermont. As a former small-business owner — when they were teenagers, he and his brother started a landscaping business that his brother still runs today — Goodall says he’s familiar with the perennial challenges small-business owners face. The Bangor Daily News sat down with Goodall, who lives in Richmond, to discuss some of those challenges, including the effect the Affordable Care Act will have on small businesses and whether partisan politics will get in the way of his effectiveness as an advocate for the roughly 140,000 small businesses in Maine. This interview has been edited for clarity and length. BDN: I know you haven’t been on the job too long, but are there any particular SBA programs you’ve already decided you want to focus on, and that would be especially valuable for Maine? Goodall: In Maine, especially, we have some great opportunities around veterans and veteran-owned businesses. Because the military is one of the greatest workforce training programs in the world, they have leadership skills, they have the dedication and focus to be leaders. With a high proportion of veterans here in Maine we have a real opportunity to continue a lot of the great work done at the state level and the federal level to grow more veteran businesses. In addition to that, we have a real opportunity to reach out to young entrepreneurs in Maine, and those who want to come here, to make them aware of our programs, provide education to them, and help them grow or start a business. That would be very beneficial to our economy because of our demographic challenges here, and the need to invest and bring new ideas to the state. We‘re also doing a lot to make sure we’re streamlining the process for our banks and our financial institutions as well so there’s less paperwork, especially on small loans. We’ve seen a lot of progress especially over this last year coming out of this economic downturn. Our loans to small businesses are up significantly. We’ve put on the street about $63 million worth of loans throughout the state of Maine. That’s up about 25 percent from last year, and that’s through the end of July. It means people are more confident, it means people are starting businesses and also that people’s financial health is stronger so they’re more likely and able to grow their business. Is that 25 percent increase because more people are applying for SBA loans, or because standards to receive a loan have been loosened to improve access to capital? I think there are a few factors, it’s obviously the growth in Maine’s economy. It’s also working hard with our resource partners and with small businesses to make sure they know the SBA has a lot of products available, and it’s also that more people are wanting to start businesses and are taking advantage of our programs. You served as Senate majority leader in what proved to be a very partisan legislative session, one that featured many spats between Democrats and the Republican administration of Gov. Paul LePage. How do you re-engineer your approach to be able to work with the governor’s office to be an effective nonpartisan advocate for small businesses in Maine? I think I’ve always tried to figure out how to move progress forward and how to understand differences and how to address challenges, and to sum it up quickly, and find a solution. In my previous tenure as a legislator I’m very proud of the work the Legislature did around areas such as workforce development, a critical component of Maine’s economy now, and that was done collaboratively. That was done working with the administration, it was done working with Republicans and business owners, as well as educational institutions. I think Maine should be proud of that effort. In addition to that, under the Republicans we worked hard and together on regulatory reform. So I believe my background represents a willingness to work with everyone, and that’s my role and responsibility in the SBA. We are here to make sure businesses have the tools they need in order to grow and create businesses, whether that’s through helping businesses understand opportunities to access capital, working with our partners such as banks and credit unions, or actually providing education services through our [Small Business Development Centers] or SCORE. A really good timely example is the Affordable Care Act. The Affordable Care Act is now law. Typically, in the past the SBA hasn’t always provided information on health care, but now that’s very important to small businesses. I will want to ask you about the ACA, but to complete my thought: We have a political situation where Maine’s governor admits he doesn’t have a relationship with Senate President Justin Alfond, who you worked under. Does that hamstring your ability to be effective now leading the SBA in Maine? No, not at all. We feel strongly that state governments are a partner of ours moving forward in strengthening each state’s economy. We want to work closely with the LePage administration and their economic development team. Because we’re all in this together. OK, let’s talk about the ACA. The Obama administration has tapped the SBA to be the communication conduit to small businesses about the ACA. How do you balance being the administration’s champion of the ACA, while also advocating for small businesses if the legislation has negative unintended consequences on small businesses? The law is obviously in place. There’s a lot of opportunity, but also challenges facing small businesses and we are here to help them understand all of the implications of the Affordable Care Act. There are many questions and I think the SBA and the administration have been really responsive. The administration on July 3 delayed some of the requirements of the Affordable Care Act, the employer mandate, and that was a response to the business community at large and the challenges of implementing that. They’re delaying that until 2015. As the rules are still being developed in certain areas of the ACA that feedback is very important from small-business owners, and we make sure we send that through the appropriate channels. The federal government sets aside billions of dollars in contracts each year for small businesses. How are the mandatory budget cuts known as sequestration affecting federal contracts to small businesses? Sequestration obviously has an impact on the buying of the federal government. People are cutting back, everything from congressional offices to the SBA to HUD, they’re spending less because of funds. But the SBA’s role in contracting is making sure we champion small-business contracts with the federal government, which is the largest purchaser in the world. There is a goal that we reach 23 percent of purchases to small businesses. The Wall Street Journal recently came out with a study showing that student loan debt has become a major barrier to small-business startups. How can the SBA address this problem facing small-business owners? We don’t address directly college loan issues, because we’re focused on the small-business aspect, but it is a concern of every young entrepreneur, especially in this day and age. The role the SBA can play is really helping the young entrepreneurs balance all the challenges in their financial history and planning going forward, and maybe help them qualify for a loan. Often an SBA guarantee will help that young entrepreneur acquire the capital they need and wouldn’t otherwise be able to get by going to a bank. Do you think “skills gap” is a misnomer? Is there a gap in skills, or is there just a lack of businesses’ ability to hire the people and train them themselves? It’s a combination of factors. Each state is different. We have our demographic challenges, an aging workforce, here in Maine. Many of those workers are extremely talented, they have great skills, however they don’t necessarily have the skills for the jobs of today. At the same time, we need to make sure our educational institutions are training people not only for the jobs of today, but anticipating what the jobs of tomorrow will be.